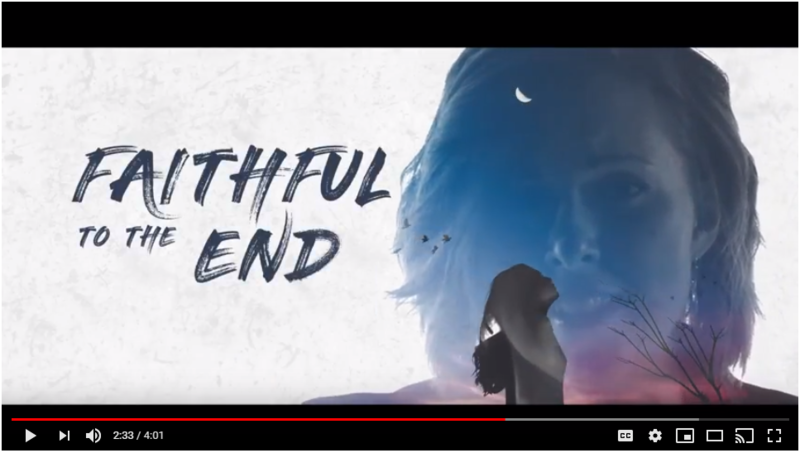 October 4, 2018 (Springdale, Arkansas) – The video for INOV8 Music Group recording artist Leslie Woods’ current chart-topping single, “Faithful to the End” is set to release today. “Faithful to the End,” Woods’ first new music in three years, debuted at No. 1 on Christian Radio Chart with 734 radio outlets worldwide and claimed the top spot on the CRC monthly chart for August and CRC quarterly chart for the 3rd Quarter of 2018. View the video here. The song was written by the dynamic songwriting team of Drew Ley, Sean Hill of Uphill Studios, and Ashley Fruhling. Ley, who was selected Songwriter of the Year at the 13th annual ChristianSongwriting.com competition, has written with numerous notable songwriters, including Micah Tyler, Jennie Riddle, Dustin Smith, Krissy Nordhoff and Matt Armstrong. Among his accomplishments, Ley penned an instrumental piano piece that played regularly on The Weather Channel. Woods’s first project, “Just Me,” included a bonus DVD and featured the No. 1 song, “Fall Down.” “Fall Down,” which played on more than 250 radio outlets, topped the CRC Weekly, CRC Monthly and CRC Quarterly charts. A YouTube video for Woods’s song “Clueless,” also from “Just Me,” features the singer roller skating at a rink and has garnered approximately 38,000 views. To learn more about Woods, visit LeslieWoodsMusic.com, like Woods on Facebook and follow her on Instagram and Twitter. View the video for “Faith to the End here.